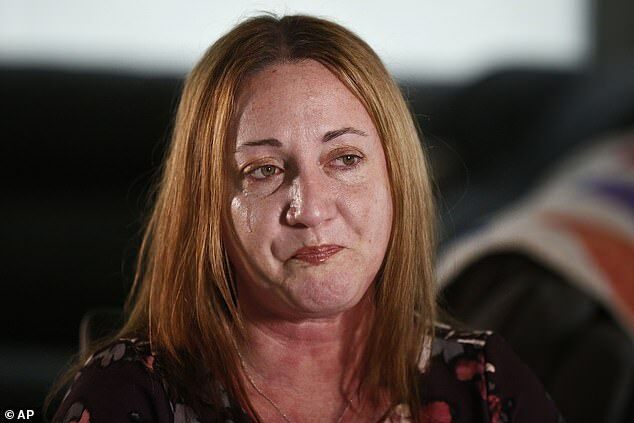 The mother of a Parkland student who screamed for President Trump to take action after her daughter was shot dead has spoken out a year later about how she still can’t touch the teen’s dirty laundry and how she now wears her perfume. 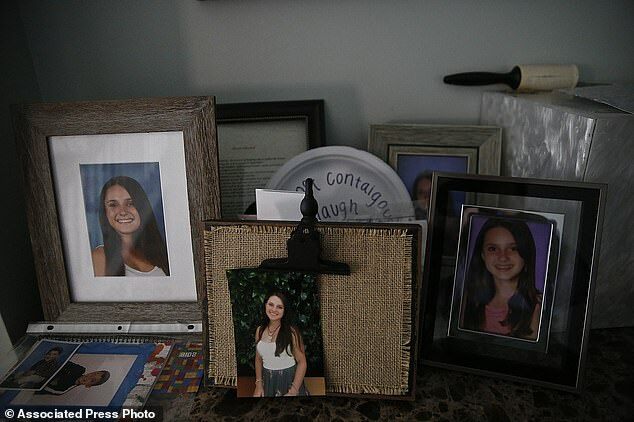 Lori Alhadeff’s 14-year-old daughter Alyssa was one of 17 people killed by a gunman who stalked the halls of Marjory Stoneman Douglas High School on February 14 last year. A year on from the massacre, Lori said she now wakes up every morning and sprays on Alyssa’s Victoria’s Secret perfume as a form of armor. The scent helps propel her through her whirlwind of a day as she fields hundreds of emails and juggles two phones – a constant reminder of why she ran for, and won, a seat on the local school board, started a foundation to make schools safer and why she called out Trump in a televised, gut-wrenching tirade. ‘I smell Alyssa so I feel like she’s more a part of me,’ Lori said. 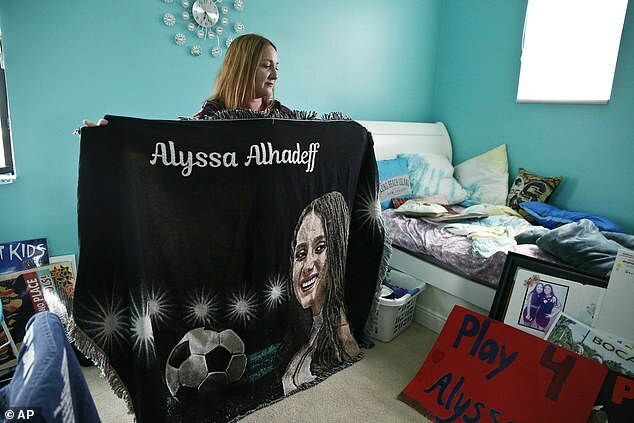 Reminders of Alyssa are everywhere in their home: Photos of Alyssa along with her brothers, now 11 and 14. 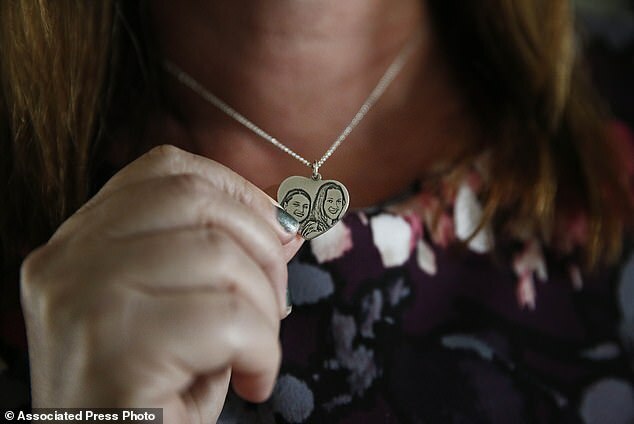 The silver heart necklace Lori wears, etched with a picture of mother and daughter. The stones painted with Alyssa’s name, leading up to the front door. Much of Alyssa’s turquoise-colored bedroom remains untouched. Her retainer is still there, as are mementos of teammates and friends. Her yellow soccer jersey, No. 8, hangs on the wall. Her dirty clothes are still in the hamper by the bed. ‘I haven’t washed them yet because it’s too hard,’ her mother said tearfully. Alyssa’s mother keeps up a dizzying pace of advocacy, insisting that it helps her handle the grief, though there is the sense that if she ever allowed herself to stop she would be swallowed whole by sorrow. ‘For me, it’s honestly still 2/14/18,’ she said, through tears that often come as she remembers her daughter. When word of the shootings spread on that Valentine’s Day a year ago, Lori rushed to the high school with her husband, Ilan, and best friend, Emily Price. 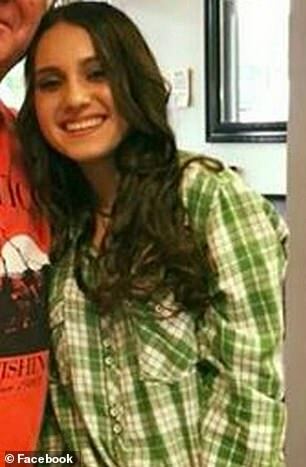 Other students running from the school told them Alyssa had been shot. They split up and went in vain to different hospitals as they looked for Alyssa without success. The Alhadeffs spent an agonizing night at a hotel. ‘That’s when I knew with 100 percent certainty that Alyssa was killed,’ her mother said. Alyssa had tried to hide under a table in her English class. 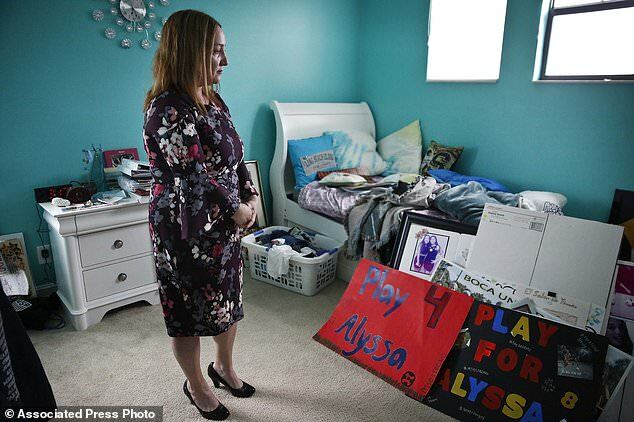 The gunman, armed with an AR-15 style semi-automatic rifle, sprayed bullets through a window; Alyssa was shot 10 times, in the heart, on the top of her head and in her femoral artery – her ‘soccer leg’, her mom says. ‘Her body was really cold,’ Lori recalls. She tried to warm Alyssa with her hands, ‘to bring her back to life.’ She clipped locks of the girl’s long, brown hair, to keep. She did not know what to say but she felt compelled to speak. 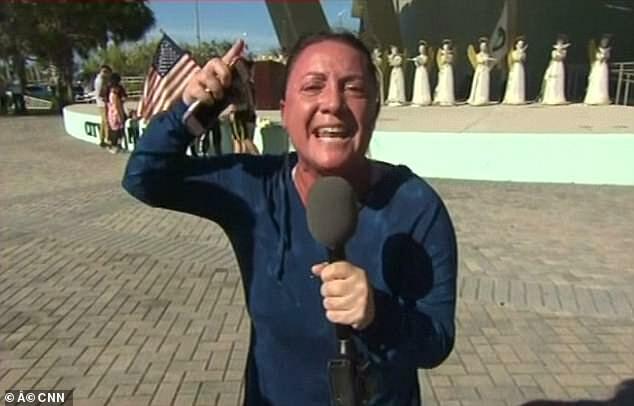 ‘A crazy person just walks right into the school, knocked on the window of my child’s door and starts shooting, shooting her and killing her,’ she screamed into a TV camera. ‘I have to keep pressing forward. I know that I can’t bring Alyssa back but … if I can change the life of one person…,’ she says, her voice trailing off in tears. ‘There’s some days that I feel like staying in bed and not doing anything and it just feels like it’s the end of the world… (Lori) is able to draw strength from Alyssa on a daily basis and get up and be a force to be reckoned with,’ Price said. ‘The other board members need to have the courage to stand up and ask the tough questions that Lori has started to ask,’ says Petty, who lost his own bid for the board. ‘That was Alyssa enabling me to use my voice,’ she says. 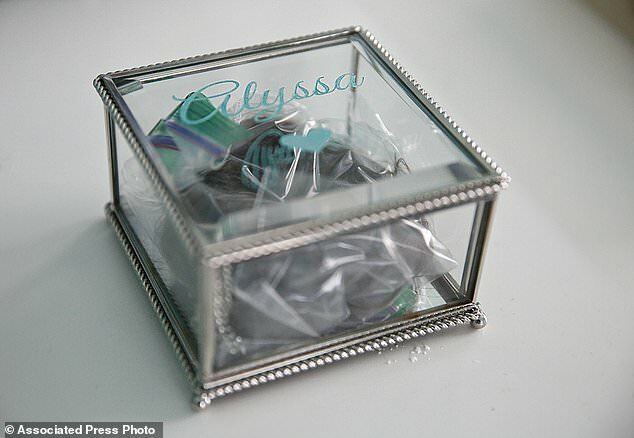 ‘I told Alyssa that I loved her,’ she says. It was the last time she would see her daughter alive.